The bulk carrier Flag Mette lost propulsion power in Celtic Sea at the approach to English Canal. The vessel was en route from Kamsar, Guinea to Stade, Germany, but suffered blackout and engine blocked, which caused total loss of propulsion power. The ship remained adrift in heavy traffic area, causing danger for navigation of the seafarers and open to the strong winds and stormy weather. The crew was unable to restart the engine and requested immediate assistance from the local authorities. 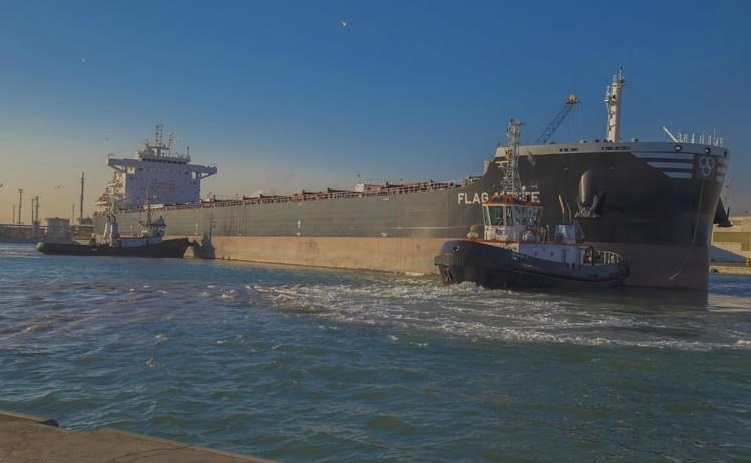 At the scene of the troubled bulk carrier was dispatched salvage tug Abeille Bourbon from Brest, which towed Flag Mette to Douarnenez Bay in Finistere, France. The troubled bulk carrier was secured at the anchorage and detained for repairs and inspection. During the accident there were no injured people and no water pollution. The vessel was not in immediate danger, but caused traffic issues at the approach to English Canal. The ship will be repaired and surveyed by local authorities, before return ins ervice and resume voyage to Stade, Germany. The bulk carrier Flag Mette (IMO: 9727974) has overall length of 229.00 m, moulded beam of 32.30 m and maximum draft of 12.90 m. The deadweight of the ship is 81,200 DWT and the gross tonnage is 43,000 GRT. The ship was built in 2016 by Avic Weihai Shipyard in China and operate under the flag of Malta.